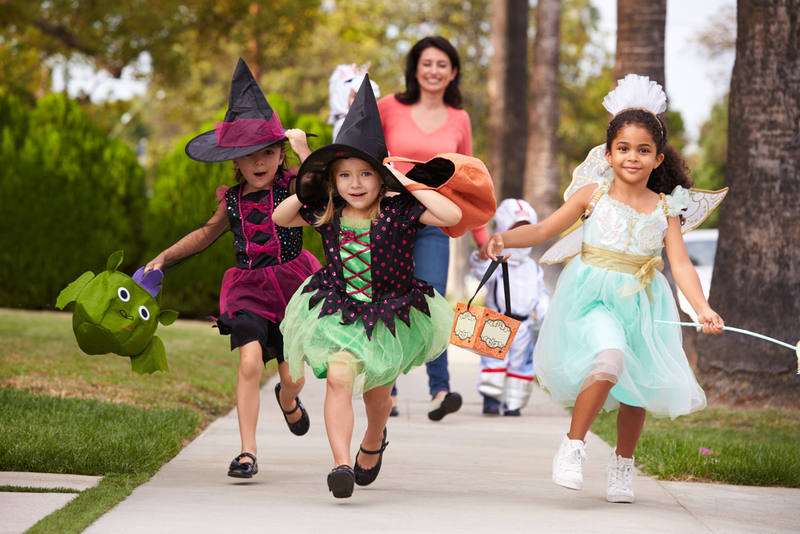 Now that fall is in the air, your little ones are likely getting excited for Halloween. Eating mountains of candy all night is every child’s dream, but it can be a nightmare for their pearly whites. Sugar is a major cause of tooth decay, which makes Halloween particularly dangerous for your children’s oral health. This year, take steps to keep your kids’ sugar intake in check and protect their teeth from icky cavities. Here are some ideas to help you manage the candy bucket. Every child’s plan for the night is to fill their goodie bag with as much candy as it will hold. So if you send your goblins and witches out with a giant pillowcase for trick-or-treating, they’re going to come back with a ton of candy. Instead, opt for a smaller bag that will fill up much faster. Your kids might be a little disappointed with their haul, but their teeth will thank you. Your kids are going to want to start snacking on their candies right away. Go ahead and let them have a few pieces that night to let them celebrate, but save the rest of the candy for a post-dinner dessert. Saliva production increases during meals, helping to wash away any bacteria and food particles that got left behind. Having candy after dinner ensures that your children’s teeth have a little more protection because of that extra saliva. Candy is great, but if your child has had his eye on a new video game or has been itching to go bowling, you might be able to make a trade. Consider offering to swap candy in exchange for a toy or activity. This maintains the fun of Halloween but limits the amount of candy your kids are indulging in. The first thing your children should do after treating themselves to a sugary piece of candy is brush their teeth. Brushing is the best way to remove any candy or sugar residue from the teeth. Remind the kids how to brush properly — by holding the toothbrush at a 45-degree angle and moving it back and forth as well as circular motions and also short, soft strokes — and supervise them if they need a little extra help. If your worried that this year’s Halloween candy might have taken a toll on your children’s teeth, schedule an appointment at Playtime dental for a cleaning and exam. Dr. Jackson Cockley, DDS, will take a closer look and make sure there aren’t any cavities hiding out in your little one’s teeth. Give us a calltoday to make an appointment.